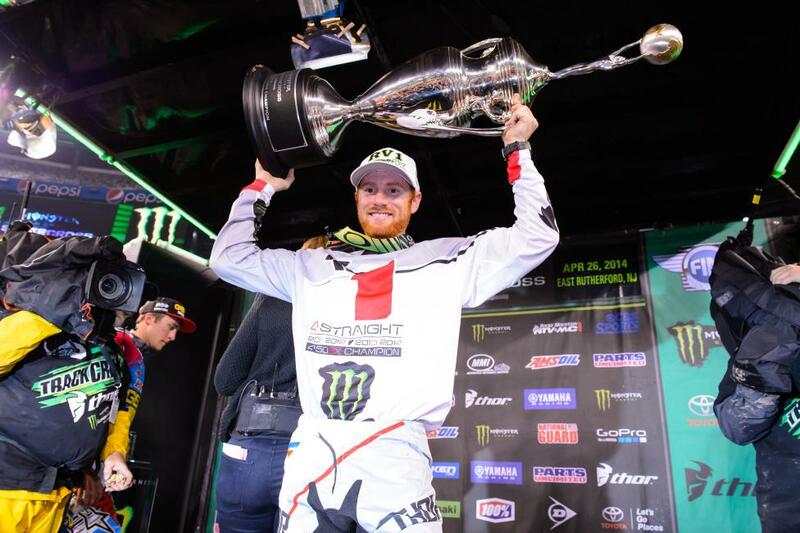 Ryan Villopoto's nearly three-month absence—and silence—from the racing world has fueled rumors that he was putting a retirement plan together, and now that has been confirmed via a press release on the Kawasaki Europe website. “I am grateful for having had the opportunity to do something I have loved since I was a kid and make it into my livelihood. I am grateful for the support of my family for all the years they spent hauling my bikes and me around to races, interrupting their lives in the process. I am grateful for the support of my many sponsors through the years, first and foremost Kawasaki, which has been my bike of choice since my Team Green days. They have been with me through ups and downs, serious injuries and great successes. Kawasaki is a brand that is synonymous with my racing career. 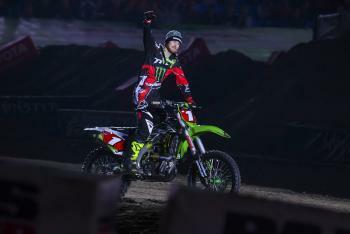 Villopoto, who turned pro in late 2005, always preferred to let his results do the talking, so a sudden announcement via a PR, without a farewell speech or appearance at a race, is somewhat fitting. For the last year, those around sensed that the end was near, as it was obvious that the nine-time AMA National Champion was no longer enjoying his time as a professional racer. A knee injury suffered midway through last year's Monster Energy Supercross run didn't help matters, but Villopoto still needed to race in 2015 to complete the final years of a three-year Monster Energy Kawasaki factory deal. He switched things up by heading to the MXGPs in Europe, but only made it to one race actually in Europe, the Grand Prix of Trentino in Italy, where he looped out in the second moto and broke his tailbone, and injured his lower back. 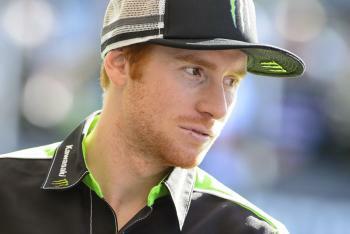 Those back injuries are still lingering, and Villopoto has decided to step away. We'll have much, more more on this news, as Villopoto, 27, retires as one of the greatest all-around racers in the history of the sport, capturing multiple titles in AMA 250MX, 450MX and 450SX. 1. It's early to start writing history books, but where does Ryan Villopoto's career rank all time? Jason Weigandt: I think he's the second-best all-around rider. Bold statement, but even looking at the greats, finding riders with this success indoors and outdoors, on multiple bike sizes, and in the Motocross des Nations is pretty rare. I think Jeremy McGrath was a better talent on a motorcycle and certainly more popular and impactful, but RV's all-around stats are actually better, with five national motocross titles to MC's one. Villopoto never lost a national motocross series if he lined up for the whole season, which is amazing, and a stat only matched by Ricky Carmichael (who won twice as many, so he's #1, no doubt. RC also won five total SX titles). RV won four straight supercross titles, which only MC can also claim, and Villopoto had to face all-time comp with guys like James Stewart, Chad Reed and Ryan Dungey. To me, it’s not just about the titles he won but the titles he didn’t lose—he figured out a way to get it done just about every time. Plus, some of his MXdN rides were hero stuff, a fact pounded home since he saved "us" in 2011, and Team USA hasn't won since. Nine national championships spread over two bike displacements including four-straight supercross titles and four big-time MXdN rides? Second best. Steve Matthes: As far as American motocross goes, I put Jeremy McGrath and Ricky Carmichael as 1A and 1B in the sport, with Bob Hannah, Jeff Stanton and Rick Johnson behind that. Now I feel comfortable putting RV just behind MC and RC. This is just bench-racing, and maybe you feel differently—that's cool. Four 450SX titles in a row, three 250MX titles in a row, two 450MX titles, and one 250SX title is a pretty good record, right? The question with RV, like it is with Johnson and to some extent Hannah, is what could he have done if he had been able to stay healthy? There were quite a few injuries in there that cost him titles as well. That's left to the moto gods, but Ryan Villopoto will go down as one of the elite riders of all-time. Jason Thomas: I have him pretty high on the list. His only bugaboo is that he really didn't race the big-bike class as much as others did. He was injured in 2009, 2010, and 2014, and he had a great shot at the titles in those three years had he been healthy. He was, in my opinion, the fastest racer alive from 2010-2014, and that can't be understated. He won four straight supercross titles, which has only happened one other time in history, and he led the last eighty laps of his supercross career. As Matthes said, though, his legacy as one of the best ever will always be overshadowed by the "what ifs.” He could have retired easily in the top three riders ever had the injuries been avoided. Regardless, he was one of the best to ever line up. Final answer? I will say fourth behind Jeremy McGrath, Ricky Carmichael, and James Stewart. 2. It's hard to make any retirement announcement perfect, but how would you have handled this? Weigandt: I know a press release isn't perfect, but the circumstances dictated it. I think this is just a byproduct of this whole season, which RV was only somewhat interested in doing. In a perfect world for him, he would have wrapped SX title number four last year in New York and then announced Vegas was his last race, followed by twenty more laps led and a walk-off. He coulda shoulda woulda but he couldn't because he had a contract. Had he stayed healthy, maybe he wins the Glen Helen GP or the MXGP title or takes Team USA to a Motocross of Nations victory one more time. That was probably the plan, but it didn't happen, so a PR is what we get. Yeah, as far as retirements go, this is probably one of the lowest-profile ways to do it. It's kind of fitting for Ryan, though, who was never interested in being a showman. Matthes: Well, considering he really didn't want to race this year at all, I suppose this is a fitting end to the saga. As in, he probably never should have been out there at all. But he went to the GPs, won one race, and went out with an injury (although it would have been healed enough for him to race the last few GPs, including the USGP according to people in the know). The best way would be for Ryan to come out, race the last few GPs, including one at Glen Helen where the American fans can "send" him off, race the MXdN, and then retire. But that's a real storybook ending, and if I know Ryan at all, he's not a guy that cares all that much about this kind of stuff. He's got the titles and the millions of dollars, so he's going off to the woods of Washington to go ride his side-by-side. Thomas: In our sport, secrecy, and silence are the norm. It's unfortunate, though, as fans are starving for information that never seems to come. For the past month or so, everyone has been wondering and waiting for Ryan to say literally anything about what was going on. On the inside, many of us knew that it was most likely over and that he was in Washington laying low. Publicly, though, it was just crickets. His team didn't know, his sponsors didn't know, and certainly his fans didn't know. That's really the biggest complaint that I’ve heard. His choice to walk away isn’t surprising in the least bit to me; I actually feel he wanted to retire last summer. His financial and contractual situation dictated that he raced this year, and everyone now sees how things go when a rider's heart isn't in it. He’s probably the most relaxed he has been in years, maybe ever, knowing that the pressures of racing are officially finished for good. 3. What do you think RV's future is from here? Will we see him at races again? Weigandt: I think everyone expects him to just disappear into the woods, so I could just repeat that here. I don't think you'll see him get aggressive and try TV or team ownership or coaching or any of the standard things you see from ex pros. I think, after some time, we'll see him at the races again, just hanging out. Ryan didn't look super-pumped on racing in the last year, but he was always jovial with his Kawasaki team people. I could see him coming back just to talk some crap and mess with his buddies. All pleasure, no business. Matthes: And that above answer ties into this answer as well. I don't think we see much of the angry redhead around. He'll show up here and there, but much like his Washington state buddy Larry Ward, he'll pretty much fall off the map. I could be wrong, but he treated this sport like a factory job for a long time, and after working so hard at this "factory" job, he's earned the right to sit at home and do nothing. So, no, I don't see him showing back up at the "factory" much. Thomas: I really don't expect to see RV around very often. He may pop up at an event to hang out or something, but I definitely don't think he’ll take any sort of job in the industry. I think he’ll do just what Larry Ward did. He will retreat to his property, out of the spotlight, and enjoy doing the things he now has time to do. He’ll travel when he wants, go fishing when he wants, and go hunting when he wants. He has earned that right. He was a bad, bad man for a decade in this sport. I’ve said more than once that his 2013 outdoor season was some of the best riding in the history of the sport. I left a few races, including Lake Elsinore's finale, thinking that was the fastest I had ever seen someone go on a dirt bike. I’ve watched David Bailey, Rick Johnson, Jeff Emig, Jeremy McGrath, Jean-Michel Bayle, Damon Bradshaw, Ricky Carmichael, James Stewart, Chad Reed, Ryan Dungey and Eli Tomac at their best, and I don't know if I would put anyone up against RV in that 2013 season. That's the biggest compliment I can give someone.